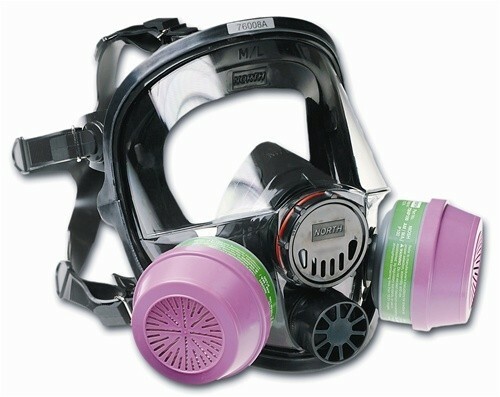 The North 7600 Series full facepiece respirators are designed to provide eye, face and respiratory protection while providing optimum comfort. While affording an over 200° field of vision, the hard coated polycarbonate lens protects the wearer’s eyes and face against irritating gases, vapors and flying particles. The polycarbonate lens also features optical properties similar to the Norton180® Protective Spectacle to minimize distortion and astigmatism.